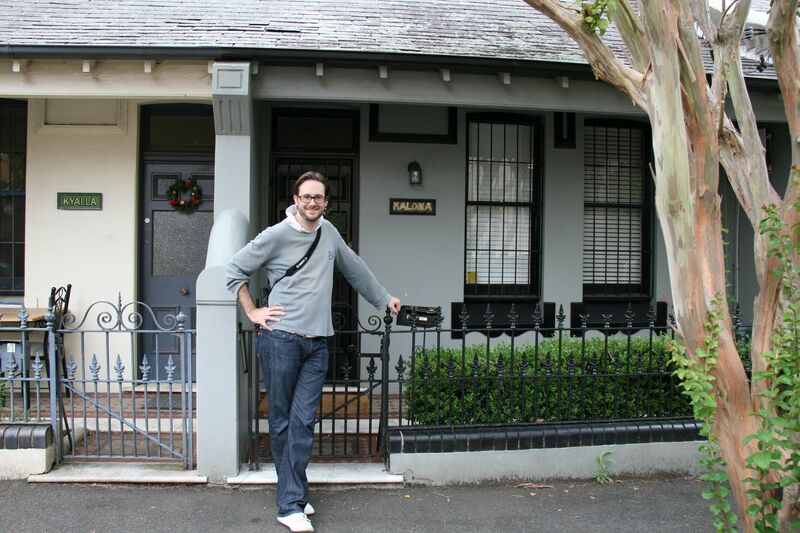 When I lived in Sydney, I bought my first home. It was a lovely little cottage, a modest front, and great location near Backwattle Bay in Glebe Point. Narrow, but long enough and somehow large enough to contain 3 bedrooms. Anyway, on a recent trip back to Sydney I took the opportunity of going to visit my little house, seeing what had changed. You can imagine my surprise when I saw this!!!! OK, so its a little green on top, but that points more to a lack of maintenance than to a lack of craftsmanship…. I may need to explain. When I first moved in, the house had no letterbox. Letters used to be left on the front porch. So one day, feeling creative and coming over all DIY, I made my own letterbox. It was always meant to be a short term solution, one that even I did not intend to make last. Well its STILL THERE!!! Almost 8 years later, unchanged and unlatered from the original genius design, which enabled letters to be slotted in, or in fact placed by lifting the hinged lid. I suddenly have a new sense of faith in my DIY abilities, and all the things I have gerry-fixed in my flat in London have taken on a whole new appearance of long term stability. That’s hilarious Max. I have also been wondering what happened to your contraceptive lounge… perhaps your next post??? Unlikely to qualify for a blog post, but you will be pleased to know that the couch is going strong, looks pretty much exactly the way it did when it was bought, and is a perfect fit in my flat in London. You DO!!! I loved living there, I owned the house for 6 years, and really miss it! Thanks for your comment. I was googling DIY letterboxes and came across your post in amongst all the odd and novelty ones. 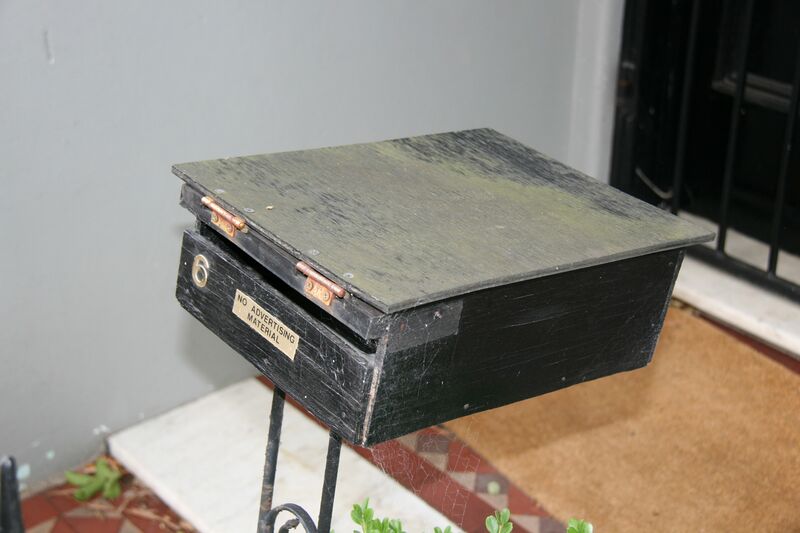 I just want a basic letterbox that can replace the rusty one surviving on one hinge we currently have. I will be copying yours. It’s just right. Why thank you. Thats very kind! Good luck – post a photo of when you are done.